If you are thinking that it is Passover, Rosh Hashanah or Yom Kippur, guess again. Here’s a hint… The most important Jewish holiday comes every week! Yep, it is Shabbat. One day a week, in imitation of God who rested on the seventh day of creation, we rest from our work from sunset on Friday night until we see the stars in the sky on Saturday night. Shabbat Cheat Sheet: An easy reference for how to do Shabbat, including some background and blessings. 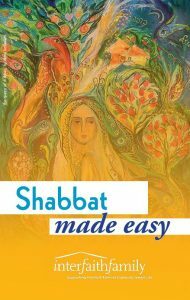 Shabbat Made Easy: A booklet explaining the customs and rituals of Friday night, Shabbat Made Easy is an introductory resource for couples and families. 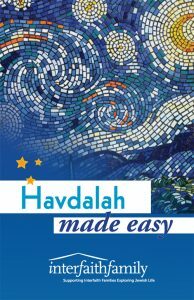 Havdalah Made Easy: An introduction to Havdalah, its rituals and blessings, Havdalah Made Easy is great for families. Our Guide to Shabbat and Havdalah for Interfaith Families is a comprehensive introduction to the 25 hours. From background information to blessings to suggestions to help you prepare, this guide has it all. 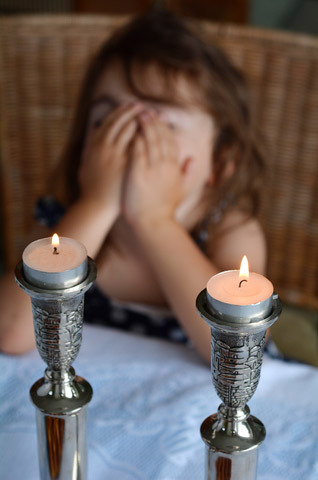 How to do…Shabbat 101—Explains how to do Shabbat with answers to the questions you’ve asked. Plus what to say when you do Shabbat. 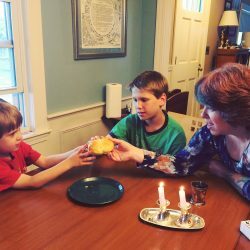 And How to Celebrate Shabbat…When You Miss Friday Night has 5 minute, 10 minute and 1 hour ideas for ways to incorporate Shabbat into your Saturday as a family. SynagogueGoing to Shabbat Services at Synagogue? Shabbat Services FAQ video answers common questions. What To Expect At A Synagogue video explains ritual items and objects. 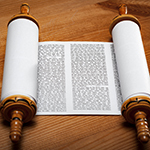 Shabbat: What To Expect At A Synagogue booklet is an overview of Friday and Saturday services. 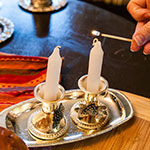 Shabbat Blessings: quick, easy download to guide you through the Friday evening Shabbat rituals, complete with audio of each blessing. Havdalah Blessings: a quick, easy download to guide you through the Havdalah ritual, complete with audio of each blessing. 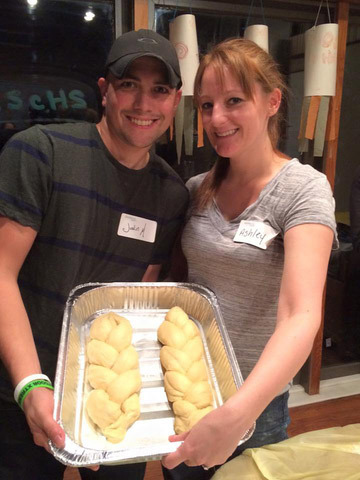 Our Shabbat video will show you how easy it is to bring Shabbat into your lives. Check out our Facebook Live video conversation on Shabbat. Shabbat and some of the less well-known holidays—Sukkot, Shavuot, Tu Bishvat—can be great ways to introduce people to the beauty of Judaism. Learn how to make these other holidays part of your life as an interfaith couple or with your extended interfaith family in InterfaithFamily.com’s archive of articles, resources and external links.